Both PCAST1 (President’s Council of Advisors on Science and Technology) and NAS2 (National Academies of Sciences) have recommended that OTC (over-the-counter) hearing aid sales be permitted for mild-to-moderate hearing losses. Additionally, the SB 9 Over-the-Counter Hearing Aid Act of 2016 introduced by Senators Warren and Grassley calls for the same. These recommendations resulted from the identification of problems with the current hearing aid distribution system that prevents an increasing number of individuals from hearing amplification help (both in accessibility and affordability). As part of recommendations, there has been talk about on OTC hearing aid standard. During June, 2017 meetings conducted by NASEM (National Academy of Science, Engineering and Medicine) in continuing meetings to the IOM, content was devoted to accessible and affordable hearing care for adults as the overall agenda. 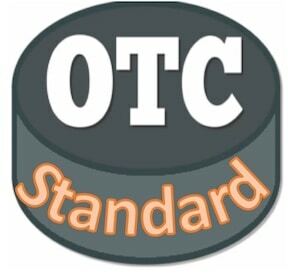 An additional topic of some discussion related to an attempt to write “standards” for OTC (over-the-counter) hearing aids. This was offered by CTA as to what some referred to as a reasonable starting point for an OTC hearing aid. In trying to meet these recommendations, the FDA’s Draft Guidance (2013) goal was to provide clarity in what it defines as a hearing aid as opposed to a PSAP. This clarity, in the FDA’s thinking was intended to encourage greater innovation in the area of sound amplification devices as well as the avoidance of improper application of regulatory requirements to regulated and unregulated products. This Guidance would have a direct effect on the ability of millions of Americans to make informed purchases of products to improve their hearing. If this was the stated effect, the Guidance should be written and applied in such a way that it avoids roadblocks that distract from the stated goal – easy and low-cost access to hearing amplification products. Recall, the NASEM meeting priorities were to improve access and affordability. Nowhere did it recommend that the process be made more difficult, and costly, which is essentially what the CTA (ANSI/CTA-2051) recommended “standard” for PSAPs, and by extension, for OTC hearing aids seems to be directed towards. In about 1975, the hearing aid industry was considered to have reached a market penetration of about 27%. Today, it is more closely to 17%, even though more hearing aids are sold. This is due to the ageing of our citizens, and there is no practical way that there will be the number of audiologists/dispensers to manage the hoped-for increases in market penetration. There are many reasons for not increasing market penetration, among which cost is always considered a barrier – perhaps not number 1 on the list, but always there somewhere in the top tier of reasons why hearing aids have not been purchased. Additional issues relate to ease of availability, and meeting basic needs. What Happened to the CTA? The CTA (Consumer Technology Association), which originally positioned itself in favor of less restrictive regulations for amplification devices5, then surprised many with their publication of “scientifically defensible voluntary manufacturing standards and performance criteria” for PSAPs6. To complicate the issue further, the Hearing Industries Association (HIA), a trade organization of hearing aid manufacturers, asserted its belief that if an OTC category is to be created, that it should meet the same FDA standards as existing hearing aids and should be offered only to people with mild hearing loss. Note that moderate and greater hearing losses would be left out, but with no explanation as to why, making it more restrictive than what had been proposed (mild and moderate hearing losses). Also, if the OTC category was to meet the same FDA standards as existing hearing aids, then why should they be limited to only mild hearing losses? After all, they would have met all the requirements for traditional hearing aids. Is There a Need to Differentiate Between a PSAP and Hearing Aid? Is There a Role for PSAPs, as Defined by the FDA? With an OTC market, the answer is “no.” As an OTC hearing amplification product, the PSAP and hearing aid perform the same function and serve much of the same population. If this is the case, there is no need for the CTA ANSI/CTA-2051 PSAP standard proposal. But, because this proposed “standard” has received attention, it is important to review it, so that all have a real understanding of what it calls for. That is what the next few posts will do – somewhat on a line-by-line discussion. The FDA, through that referenced guidance, proactively chose to express its intention to exercise “enforcement discretion” on several types of mobile medical apps posing low risk to patients. This, even though they might meet the statutory definition of a medical device. FDA stated that it does not intend to enforce requirements under the Food Drug and Cosmetic Act.11 In a similar way, although some PSAP/OTC hearing aids and apps might quality as medical devices because of their inherent functionality, the FDA could easily exercise enforcement discretion because they pose such a low risk of harm to consumers and their availability to the general population far outweighs burdensome requirements which make little sense to enforce. Additionally, discussion continues as to whether hearing aids/OTCs are medical devices or consumer products. What is this suggested “Standard?” Regulations to meet a “Standard” necessarily involves additional costs to produce and market a product. It is not clear as to how this is going to help the consumer when these “Standards” appear to intentionally and primarily lead to increased costs. If the intent of all of these IOM, FDA, NAS, and NASEM meetings and discussion was to get more amplification products to the untapped consumer market, this “Standard” definitely works against that. If the concern is about consumer safety, this “Standard” posts only a single “safety” measure – that of limiting the output of the device. This suggests that the safety issue may not be real, but imagined. Should a product be forced to protect everyone? Not so. For example, even OSHA (Occupational Safety and Health Administration) permissible noise levels are designed to protect only about 90% of the population. In reading the proposed “Standard,” it appears that how one accepts this recommended “Standard” depends clearly on how the OTC hearing aid is considered to be marketed/distributed, and by whom. Is Such a “Standard” Even Necessary or Justified? To understand this question, it is important to review some of the background and questionable assumptions leading up to this suggested “Standard.” To shed some light on this question, a series of posts that follows, provides a review and commentary on the proposed ANSI/CTA-2051. President’s Council of Advisors on Science and Technology. (2015). Aging America & hearing loss: imperative of improved hearing technologies. http://www.hearingreview.com/wp-content/uploads/hearingr/2015/10/PCAST-Slides.pdf?5036bc. National Academies of Sciences Engineering Medicine. (2016). Hearing health care for adults: priorities for improving access and affordability. http://nationalacademies.org/hmd/Reports/2016/Hearing-Health-Care-for-Adults.aspx?utm_source=HMD+Email+List&utm_campaign=f6d2ada521-Hearing+Health+Care+for+Adults&utm_medium=email&utm_term=0_211686812e-f6d2ada521-180442165. Hearing Industries Association. (2016). Paper presented to the Institute of Medicine (IOM) in support of its efforts on accessible and affordable hearing health care for adults as well as to the PCAST Report. http://www.hearing.org/uploadedFiles/Content/HIA_Updates_and_Bulletins/HIA White Paper on Hearing Health – 2015.pdf. The National Academies of Sciences Engineering and Medicine. Health and Medicine Division. (June 2, 2016). http://nationalacademies.org/hmd/~/media/Files/Report Files/2016/Hearing/Hearing-Recs.pdf. Regulatory Requirements for Hearing Aid Devices and Personal Sound Amplification Products – Draft Guidance for Industry and Food and Drug Administration Staff. Docket FDA-2013-D-1295. (2009). FDA U.S. Food & Drug Administration (2013). Regulatory requirements for hearing aid devices and personal sound amplification products – draft guidance for industry and food and drug administration staff. (new guidance document suggested). https://www.fda.gov/MedicalDevices/DeviceRegulationandGuidance/GuidanceDocuments/ucm373461.htm. Consumer Technology Association (CTA). (2017). ANSI/CTA Standard. Personal Sound Amplification Performance Criteria. ANSI/CTA-2051. https://standards.cta.tech/kwspub/published_docs/ANSI-CTA-2051-2017_Preview.pdf. Bose Corporation Comments. To: Division of Dockets Management (HFA-305), Food and Drug Administration, re: Draft Guidance for Industry and Food and Drug Administrative Staff: Reopening of the Comment Period. Submitted electronically, May 5, 2016. Telecommunications Industry Association. (2014). Comments of the Telecommunications Industry Association to the Food and Drug Administration’s Regulatory Requirements for Hearing Aid Devices and Personal Sound Amplification Products – Draft Guidance for Industry and Food and Drug Administration Staff (Docket No. FDA-2013-D-1295). Comments of the Telecommunications Industry Association to the Food and Drug Administration’s Regulatory Requirements for Hearing Aid Devices and Personal Sound Amplification Products – Draft Guidance for Industry and Food and Drug Administration. For example, a recent survey by Consumer Reports found that hearing aids ranged from $1,800 to $6,800 per pair in the New York City metropolitan area. See http://www.consumerreports.org/cro/hearing-aids/buying-guide.htm. See also The Hunt for an Affordable Hearing Aid. Food and Drug Administration, mobile medical applications: guidance for industry and Food and Drug Administration staff (2013) at 8 (MMA Guidance), available at http://www.fda.gov/downloads/MedicalDevices/DeviceRegulationandGuidance/GuidanceDocuments/UCM 263366.pdf. Thanks, Wayne, for pointing out the enormous, uncalculated cost that always comes from more government regulation of…well, anything. Some regulations, of course, are necessary for the orderly function of society. But when it comes to hearing aids, getting into a lot of nitty gritty and paperwork can’t help but make cost go through the proverbial roof. Now, on OTCs the only regulations that really matter are limiting what they can do–first, they should not be called hearing aids lest the public be deceived into thinking that the potentially lifesaving services of hearing professionals are just a costly nuisance in the pursuit of better hearing. Call them PSAPs, mousetraps, or “delusions”, but not the more technically functional moniker of “hearing aids”. Secondly, limit them to gain and output levels so low that only mild losses can benefit from them. We need badly to educate a currently uneducated FDA about the real nature of hearing loss and its complexities and risks to public health surrounding it. Cholesteatomas, glomus tumors, septic keratosis obturans, cerumen impaction, acoustic neuromas, vestibular Schawannomas, mastoiditis, you name it—up 13% of the hearing impaired population have these–are very real and potentially very dangerous if not attended to. But the FDA is about ready to throw out the baby with the bathwater in total ignorance of the vital need for the consumer safety nets we’ve spend several decades putting in place. We cannot let this happen. As far as assuring that people can wear them, that they will meet their needs, and that users will have the support system behind them to make it a happy hearing experience—well, the only regulation of worth there is in making sure a trained and licensed professional is there to make it happen. For it certainly won’t happen over the local Walgreen’s counter. I have been reading your posts about OTC hearing aids for the past several weeks. I just wanted to let you know I appreciate your posts and have found them helpful. Often when there is a hot button issue like this people will post “opinion” more than information. You have done a wonderful job of letting people make their own views based on accurate information. thank you!